Just last summer on June 13, 2015, power forward Tyrek Coger announced on Twitter he was taking his talents to Ole Miss. But fast forward a year later and Coger’s plans to be a Rebel took an unexpected turn. Coger is now an Oklahoma State Cowboy. The Raleigh, North Carolina native made his announcement via Twitter Sunday evening. The former Cape Fear Community College standout joins a Cowboys team that went to the NCAA Tournament five out of the last nine seasons under former head coach Travis Ford, who mutually agreed to part ways with Oklahoma State after last season’s 12-20 finish. (Ford is now the head coach at Saint Louis.) The Cowboys are led by head coach Brad Underwood. Underwood went 89-14 in three seasons at Stephen F. Austin – which tied Butler’s Brad Stevens as the best three-year start for a head coach at an NCAA institution – and is coming off a second round exit in the NCAA tournament, losing to No. 6 seed Notre Dame. Underwood was named Southland Conference Coach of the Year three times. But what happened? Why isn’t Coger headed to Oxford? 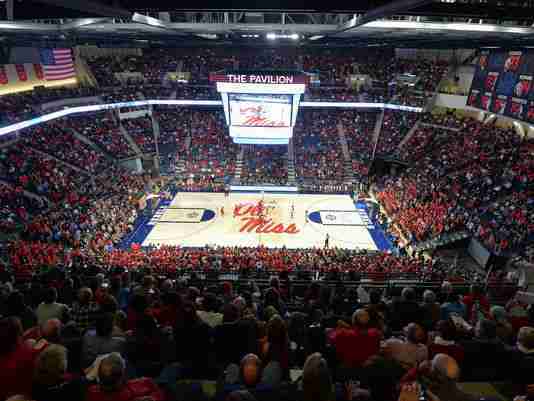 Instead of getting a jump start on class work as a new member of the Ole Miss Rebels Men’s Basketball program this summer, Coger received information last week that he couldn’t enroll at Ole Miss. But it wasn’t because Coger didn’t feel at home or have a bond with Rebels’ head basketball coach Andy Kennedy—for whom Coger was looking forward to playing—since Kennedy was once teammates with Coger’s former high school varsity basketball coach, Avie Lester, back in the late 80’s and early 90’s at North Carolina State. Instead, it was because of a rule by the Southeastern Conference that states junior college transfers must attend a school full-time for three straight semesters—the lone exception being when a prospect only spends one season in JUCO after starting his career at a four-year school. Coger, 6-foot-9, 240-pounds, was a part-time student athlete at Eastern Florida State in the 2013-14 school year due to issues concerning his family that made it impossible for him to attend full time. Coger sat out the 2014-15 season due to academic reasons and then became a full-time student this past season, as a redshirt sophomore, at Cape Fear Community College. Coger averaged 12.2 points and seven rebounds per game while shooting 52.6 percent from the field for the Sea Devils. Former Marquette forward Jae Crowder was in the same situation as Coger back in 2009 when Georgia coach Mark Fox tried to recruit Crowder when he was at Howard Junior College in Texas. That transition failed because Crowder started his career at South Georgia Technical, which is also a junior college. After transferring to Howard County for his sophomore season, Crowder became ineligible because of the one rule with which a lot of people are unfamiliar. Coger says when he had an opportunity to talk to Coach Kennedy about the rule, the Ole Miss head coach explained he didn’t realize the rule applied to basketball student-athletes, but did understand it applied to football student-athletes. Outside of growing a relationship with Kennedy and his staff, Coger was quite close with upcoming senior forward Rasheed Brooks. Before Coger received the unfortunate news, he and Brooks were talking about rooming together once he arrived in Oxford for summer school. Despite the SEC rule and the difficulties it caused him in his particular situation, Coger remains upbeat about the situation and now will be able to continue his basketball career with an Oklahoma State team that is bringing in the sixth-best 2016 class in the Big 12 Conference, according to 247Sports.